Luton have sold out their full allocation for their League One trip to Plymouth Argyle next month. 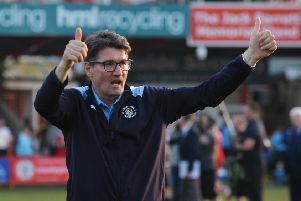 The Hatters' had been given 1,190 tickets in the Barn Park Stand at Home Park, against a Pilgrims team who are unbeaten in their last five home matches. Town have confirmed they will not be receiving a further ticket allocation, as supporters have until 2pm on Thursday, March 7 to return any tickets.